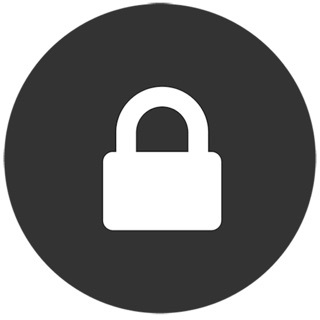 This release contains under the hood improvements that will keep your app experience smooth. 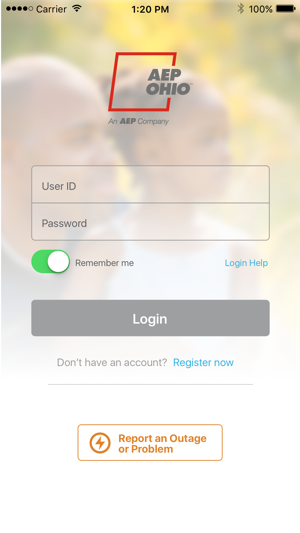 We value your feedback, so if you have something to share please send feedback to appsupport@aep.com. 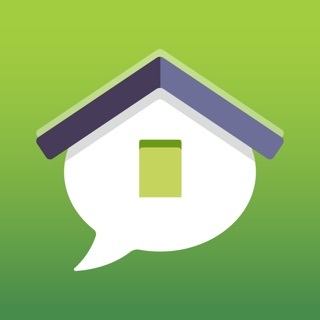 If you are enjoying this app, please leave us a rating and a review. It is nice to be able to see all of the information I need, when I need it! I really like the Billing History where I can drill down and see actually Bills and print them out if needed. Likewise, the Energy Usage tab is a helpful reminder when comparing previous Energy used by month, over the last year - for example in July it was really hot, we ran our A/C a bunch, and it displays a higher usage during that month. It would be nice to see historical data on weather to compare my Energy Usage with hot or cold seasons throughout the year! Maybe you could add that? After an update the app now works! The app is finally working after an update or two. Nice to see the devs reach out in regards to the issue. Seems to be resolved now and I have no issue opening and logging in. I do however wish there was a section that showed outages...in addition to the report an outage feature. Sorry to hear about this experience. We had some back end difficulty with our services on May 24/25. Please try it again. We’re thankful for your feedback and we apologize for any issue this caused you. 1. 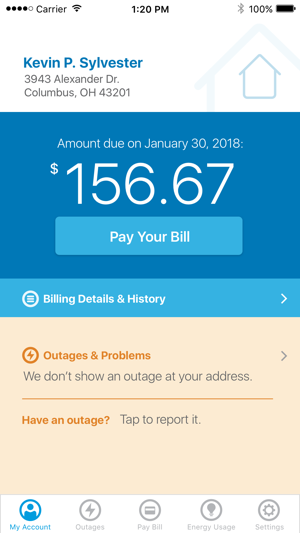 Quick and easy to view and pay your bill. 2. Remembers you so you don’t have to log in every time. 3. 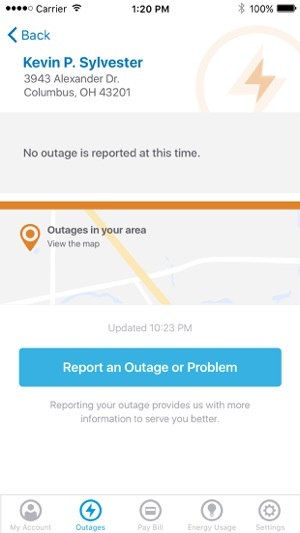 Check and report outages with a click. 4. 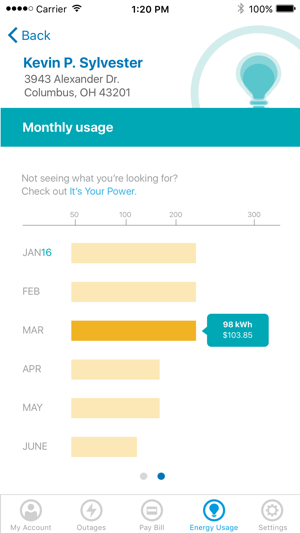 Compare usage from month to month. 5. 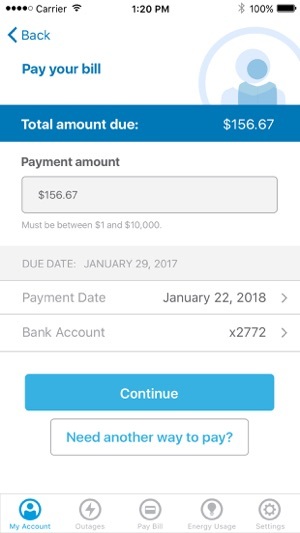 Set alerts to remind you to pay.